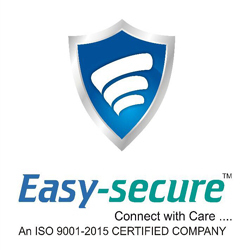 Easy Secure GPS tracking device company based in Indore providing solution to secure yourself and your belongings.Real time monitoring is helpful nowadays due to increase of thefts.With our devices you can monitor your car, fleet, two wheeler, mobile, home and control from your mobile. Our GPS and GSM tracker will help you know each location, usage, ignition on/off and can control your car.Live GPS Tracking devices are ideal for most vehicle tracking needs.Lets know where your fleet vehicles are, what they are doing, and how safely and efficiently your drivers are operating your car, truck or buses.At Easy Secure tracking our effective, reliable GPS truck tracking devices double as fleet tracking devices. With timely data from the GPS devices, fleet managers can ensure a safe, efficient and effective operation. We also provide kids safety, female safety and personal safety GPS devices.